This Cuban chug arrived Wednesday, December 16th, 2009. The chug held 17 Cubans who are now legal U.S. citizens. 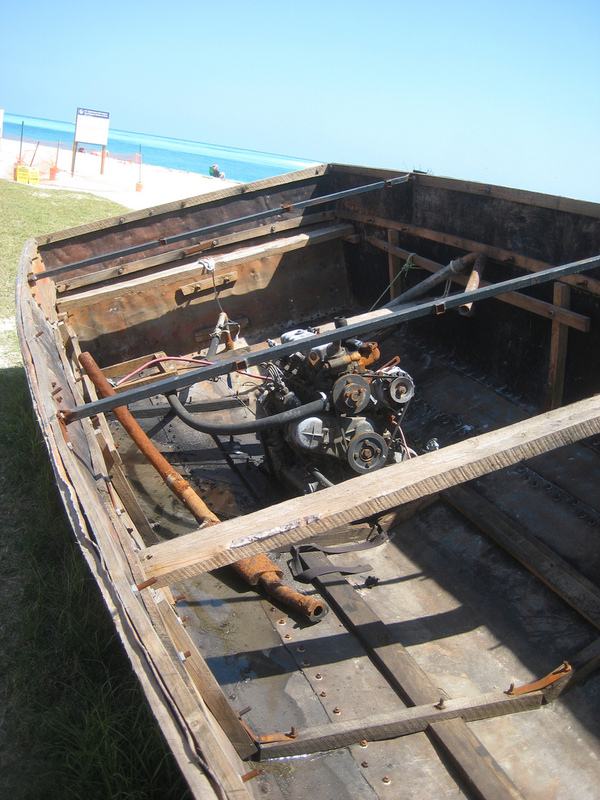 The chug, we were told, left Cuba at 5am December 14th and landed at Dry Tortugas at 2am December 16th. It’s all made from scrap metal and junk. The hull, reportedly, is flattened corrugated roofing material. There’s one more picture here.